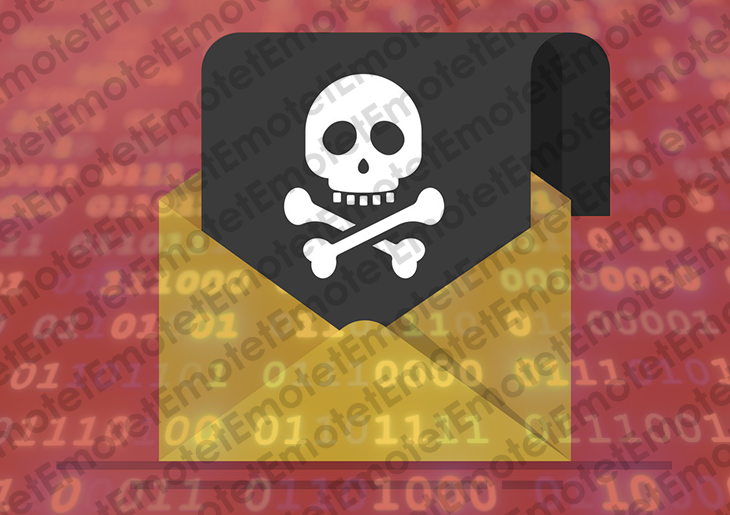 This article takes a deep dive into the Emotet virus Mac, covering its propagation, characteristics, adverse effects, and providing a viable removal method. Emotet is a harmful virus, also categorized as a trojan, that affects Macs and PCs in several different ways. Its main goal is to harvest and steal confidential information, such as banking credentials, passwords for email clients and other online accounts, as well as details related to cryptocurrency wallets, to name a few. In fact, this heinously operating malicious code was originally created as banking malware, and it continues to go down that slope while exhibiting several extra capabilities acquired in the course of its evolution. The info-stealer component has been complemented with a virus spreading functionality, which means that the menace can deposit other cyber infections onto contaminated Macs without raising any red flags visible to the naked eye. Besides, Emotet is extremely sneaky when it comes to automatic detection, because it uses a different file manifestation, that is, executable name, on different polluted hosts. The way the Emotet virus infects Mac computers resembles a continuous loop. The main entry point is malicious spam. The cybercriminals use a nefarious capacity of a botnet to send out tens of thousands of trojanized emails in one hit. These messages appear to be competently tailored and can be disguised as an invoice, subscription terms change, tax return transcript, new order notification, overdue account alert or something similar that evokes curiosity. The recipient who gets on the hook will proceed to the attached or linked-to file, which is a Mac-compatible Word document. As soon as this toxic object is downloaded and opened, it is presented as a blank document that doesn’t render any contents because macros are disabled. In this case, the system is configured to display a dialog asking the user whether they agree to enable macros. This is an unreasonable thing to do, especially if a fishy-looking email attachment is asking for this. Word macros are known to be particularly vulnerable to unauthorized tampering. When abused, they can facilitate surreptitious downloading of malicious code from a remote server. This is what happens in the Emotet virus attack scenario. The adversaries covertly drop a copy of the disruptive executable onto a Mac, which then follows a predefined modus operandi. Its polymorphic nature allows it to mutate from incursion to incursion and thereby stay undetected by the traditional signature-based security utilities. The virus will also add itself to the login items to maintain persistence. When running, it performs a kind of reconnaissance on the Mac to find potentially sensitive information. Again, it is mainly after the victim’s logins and passwords for their online banking accounts, but additionally targets all the other credentials it can find. Upon contamination, Emotet can hand a copy of itself over to the other Macs on the same network. This is an extremely serious concern for organizations and local governments, because they run the risk of falling victim to a network-wide onslaught affecting tens of thousands of machines. The malady has a built-in brute force module, which allows it to crack system access passwords on its way to large-scale propagation. Another noteworthy feature is the ability to communicate with a Command & Control server, which is the entity that actually issues commands and sends other malicious items to the infected computers. The latter, by the way, is a growingly disconcerting trend making itself felt at this point. The perpetrators can inject more parasites into the tainted Macs, including keyloggers, crypto ransomware, adware, and rogue system utilities. All in all, Emotet poses a huge risk to individual Mac users and companies alike. The sooner the victim completes the cleanup the more likely they are to keep their privacy and personal funds intact. The steps listed below will walk you through the removal of this unwanted application. Be sure to follow the instructions in the order specified. When confronted with malicious code like the Emotet virus on Mac, you can neutralize its toxic impact by leveraging a specially crafted system utility. The Freshmac application (read review) is a perfect match for this purpose as it delivers essential security features along with must-have modules for Mac optimization. This tool cleans unneeded applications and persistent malware in one click. It also protects your privacy by eliminating tracking cookies, frees up disk space, and manages startup apps to decrease boot time. On top of that, it boasts 24/7 tech support. The following steps will walk you through automatic removal of the Emotet infection. 4. Check whether the Emotet issue has been fixed. If it perseveres, go to the Uninstaller option on Freshmac GUI. Locate an entry that appears suspicious, select it and click Fix Safely button to force-uninstall the unwanted application. 5. Go to Temp and Startup Apps panes on theinterface and have all redundant or suspicious items eliminated as well. The Emotet malware shouldn’t be causing any further trouble.